Recently I posted about the stress of choosing a new foundation due to my *crappy* skin (and love of all things Superdrug related) and low and behold I actually found one feel free to read this post. I wasn’t convinced I would ever find a foundation to work for my skin but a lovely lady helped me out and all was right with the world, well the world of the frazzled mum anyway! I ended up purchasing B. 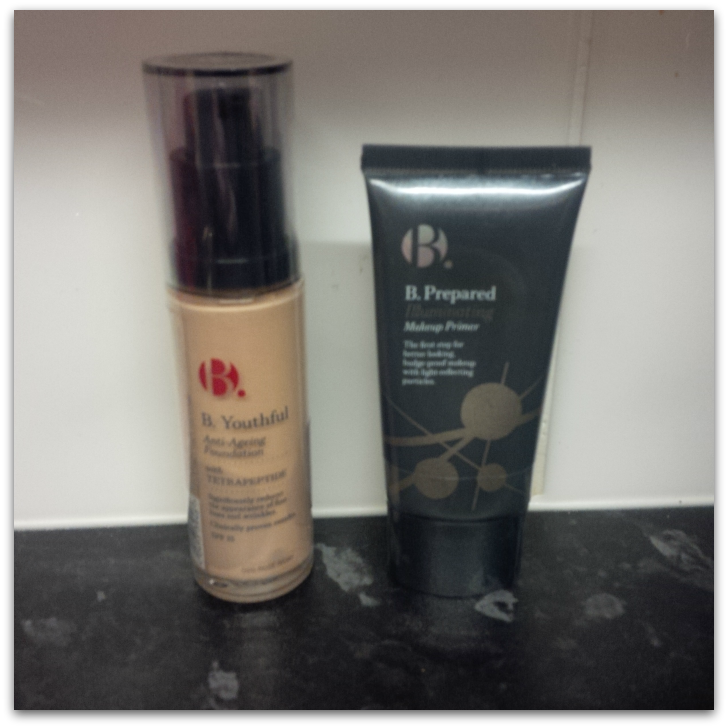 Youthful Anti Ageing Foundation in Rose Ivory and the B.Prepared Illuminating Makeup Primer. Now normally I wouldn’t of purchased this range due to the price, I’m more MUA than MAC (read total cheapskate) but a buy one get one half price deal swayed me a lot! Back to the subject, how I am getting on, 2 weeks later with these products? I will start with the primer. The B.Prepared primer has a lovely creamy consistency and I love that you can see the highlighter before and after you put it on, it give a really healthy glow to my skin and a lovely base to put my foundation onto. I love it and this product will be a permanent addition to my make up collection for the foreseeable future! 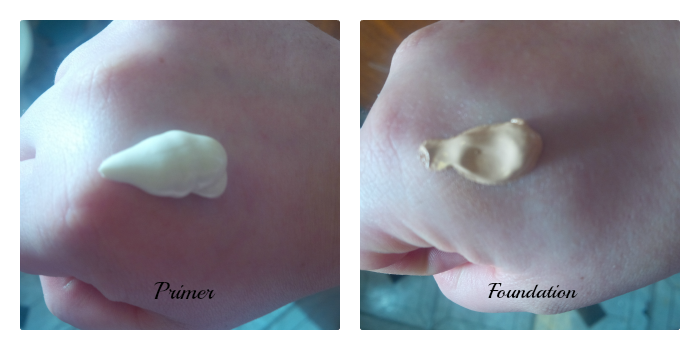 B.Youthful Anti Ageing Foundation Shade 020 Rose Ivory. I was very weary at first over this foundation as it isn’t a shade I would of normally picked for fear of making me looked washed out. The foundation also has SPF 15 which again is something I never usually look for in a foundation but gets a thumbs up from me and claims to reduce fine lines and wrinkles by up to 18% in four weeks. Now I can’t comment on this as I haven’t been using it that long but I do appear to look like I have slightly smoother skin around the eye area when I put it on. 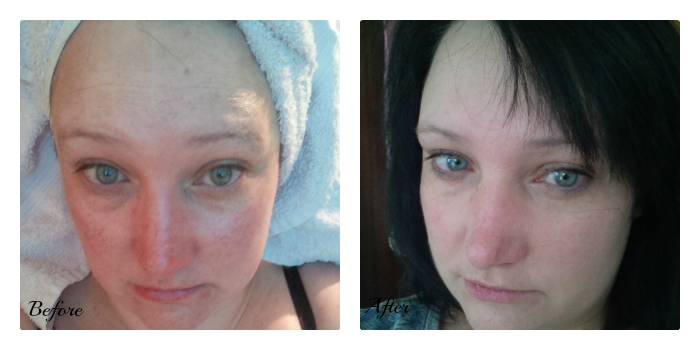 Now I do apologise for the pictures I hope you can see the difference I wanted to get the best shot of my skin in its natural state and after application but after trying the light all over my house these were the best I could get especially as I take awful selfies (cringing as I look at these) and my glassy look in my eyes is due to a reaction to a moisturiser I had put on and had to take off the day before! The consistency for me is slightly thicker than I would of preferred due to my dry skin so I mix it with either a bit of primer or moisturiser before applying. But the colour is perfect. It matches my skin tone perfectly, well I think it does, and blends in really well with fingers which is great as I don’t use brushes or sponges as sometimes this can accentuate my dry patches. The foundation gives medium coverage which is great for day time wear and it does even out my skin tone and gives decent but not full coverage on my rosy cheeks, but is build-able for more coverage for nights out and special occasions (not something I do often either) For me though, I stick to just one application as the product seems to be settling on my drier areas and more layers accentuates the problem unfortunately which is a shame as I love this foundation. How do I rate these products? Have you tried these products before? What do you think of them? Do you have any tips for foundations for me to try at all? Again apologies for the cringy selfies! *Disclaimer* I purchased these products myself and wasn’t asked to do this review nor was I reimbursed for doing so. I’ve just discovered makeup primer and think its amazing but pretty expensive for the brand names, after reading this review I will definitely give this one a try! Thanks for the great info! This isn't a range I've tried before – I do love a good primer. These sound good, I use the B Micellar water for removing make up, and that is pretty good too.